Wow! I have never been so literally blown away and delighted by a listening experience in my life…I actually felt like clapping at the end. 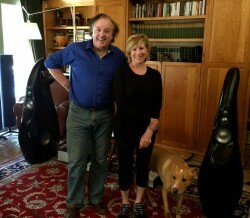 I have never heard pianos and violins sound so life like. I have never heard complex passages so uncongested and the dynamics, from soft to explosively loud were incredible, the speakers never faltered for a moment. 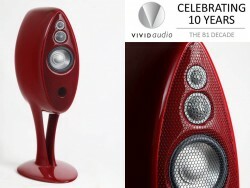 Vivid Audio debuts a new addition to its Oval Series Family, a limited edition revised OVAL B, the B1 DECADE. Debuts in Canada in November and the U.S. in December.